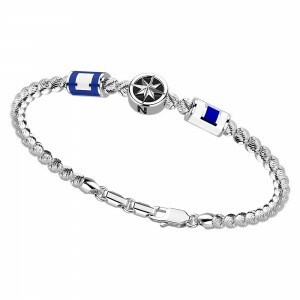 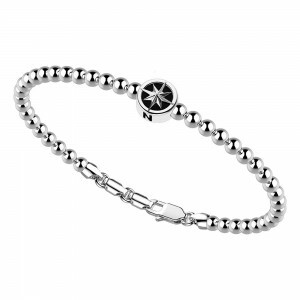 Men's bracelet composed of decorated silver balls. 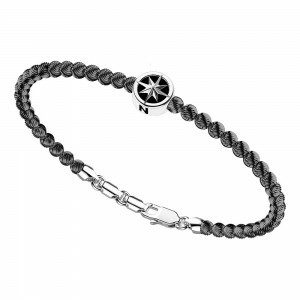 The cental element in the shape of an anchor is embellished with six natural black spinels and a rose gold screw. 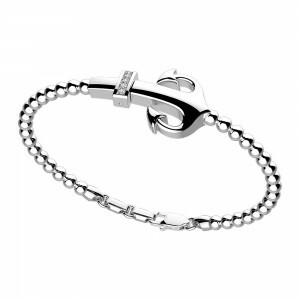 The closure is in silver, with a lobster clasp with rings. A jewel with a strong character, that speaks of travel, of horizons, of the sea. 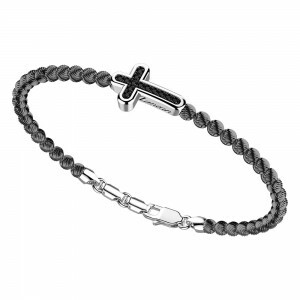 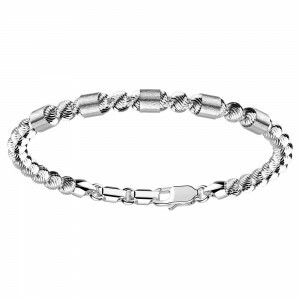 The men's bracelet that talks about you. 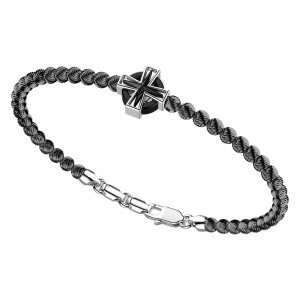 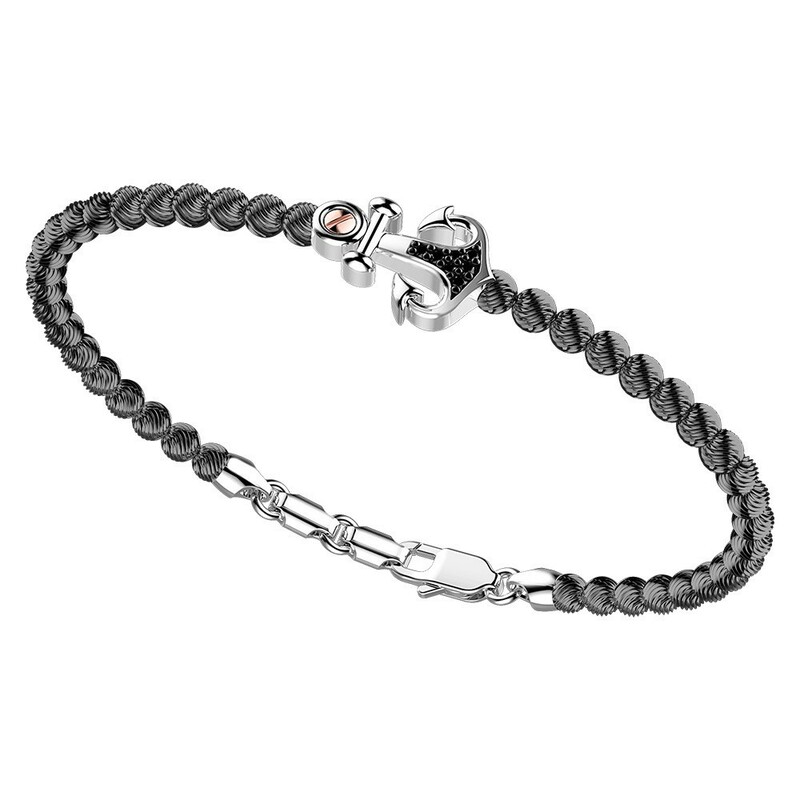 Silver men's bracelet, black spinels and rose gold details. 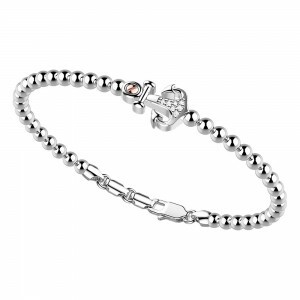 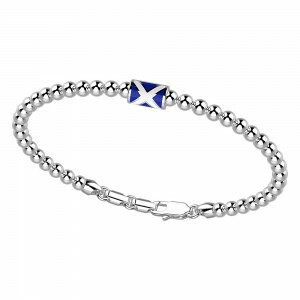 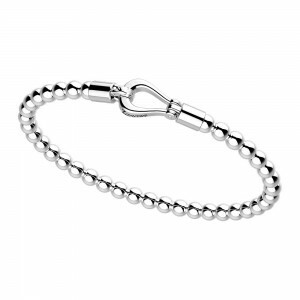 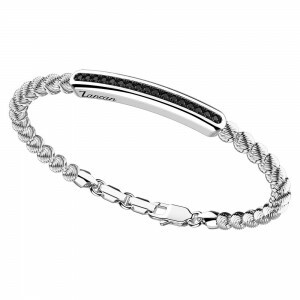 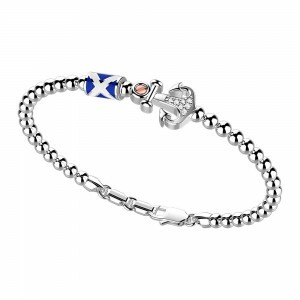 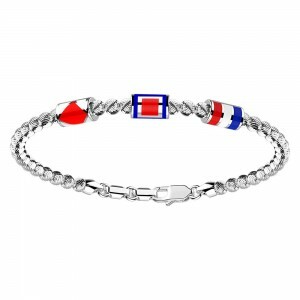 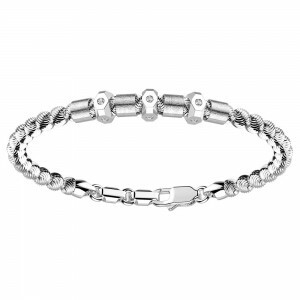 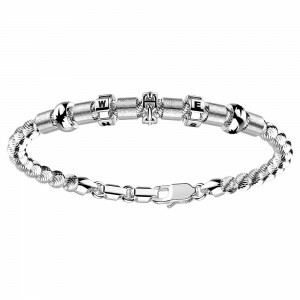 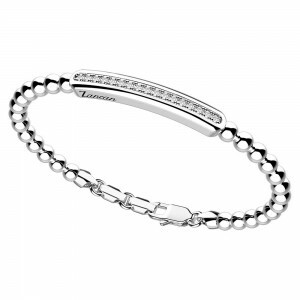 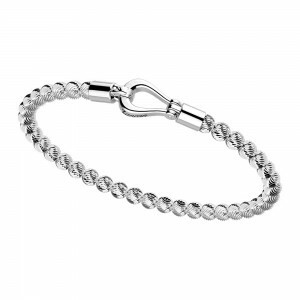 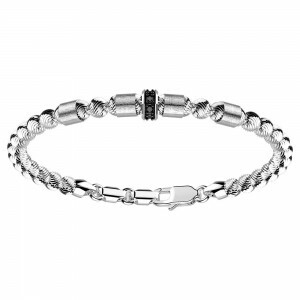 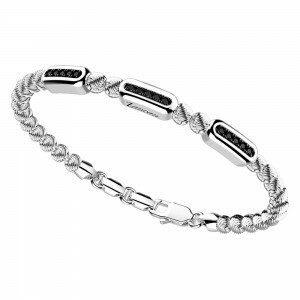 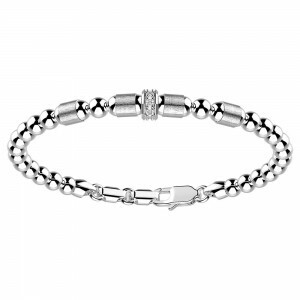 Bracelet weighing 11.90 g in 925 silver. 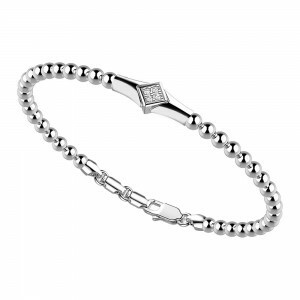 Details weighing 0.01 gr in 18 Kt gold. 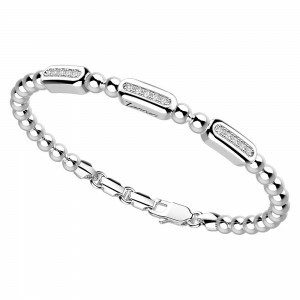 Silver spheres measure 4 mm in diameter.